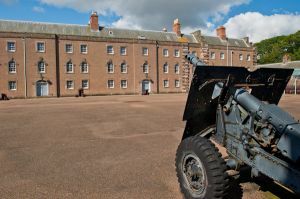 Berwick Barracks was built in 1717 to a design by architect Nicholas Hawksmoor, making it one of the first purpose-built military barracks in Britain. 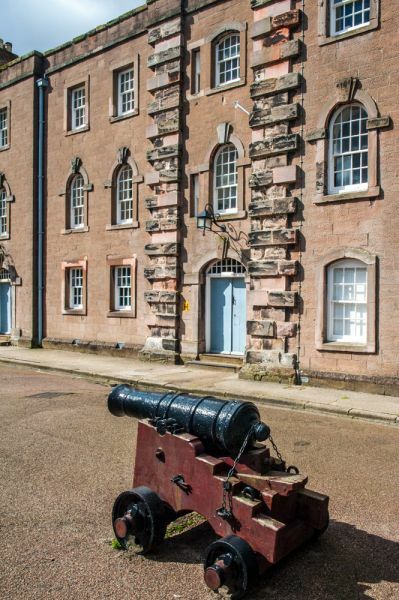 Construction took place between 1719 and 1721 and produced a barracks large enough to house 600 men with 36 officers. 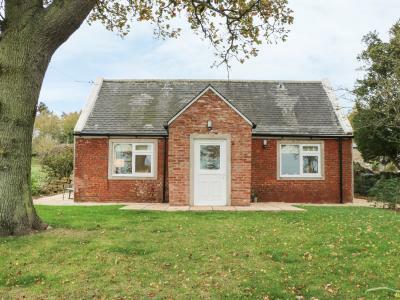 The Barracks are composed of two three-storey blocks divided by a square. The other sides of the square were filled with a store block (called the Clock Block) and a gatehouse. Although Hawksmoor is credited with the design, the finished project is quite different, leading to the conclusion that the original design was heavily altered by Thomas Phillips, engineer to the Board of Ordinance. 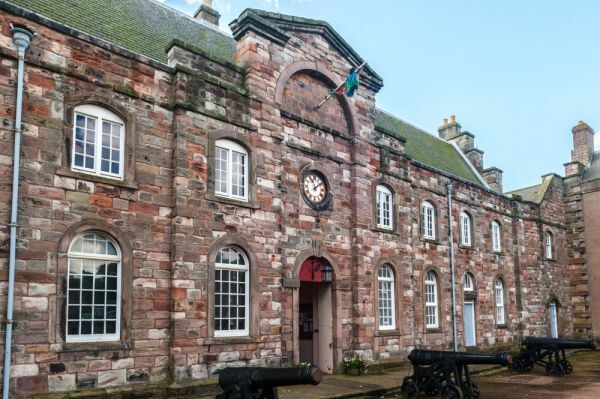 Within the Barracks are three separate museums; the King's Own Scottish Borderers Museum, the Berwick Borough Museum, and the Berwick Gymnasium Art Gallery. The soldier's barracks now hosts a special exhibit called 'By Beat of Drum', which recounts what life was like in the military over the years. Nearby is Main Guard, a Georgian house on Berwick quay, built to act as a guard house. 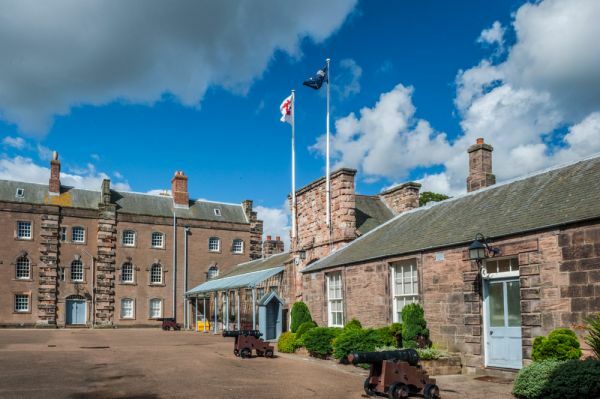 Within Main Guard house is a special exhibition, on 'The Story of a Border Garrison Town', telling the rich and often turbulent history of Berwick. Berwick's location on (or within) the Scottish border made it a frequent target for attacks by both English and Scottish forces. The town changed hands 14 times during the late medieval period, and it was not until 1482 that it could realistically be considered English. The Jacobite rebellion of 1715 emphasised the importance of Berwick to defend against a Scottish incursion along the east coast. The English government wanted to make sure that Berwick was able to block a new Jacobite invasion, so a large number of soldiers needed to be stationed there. 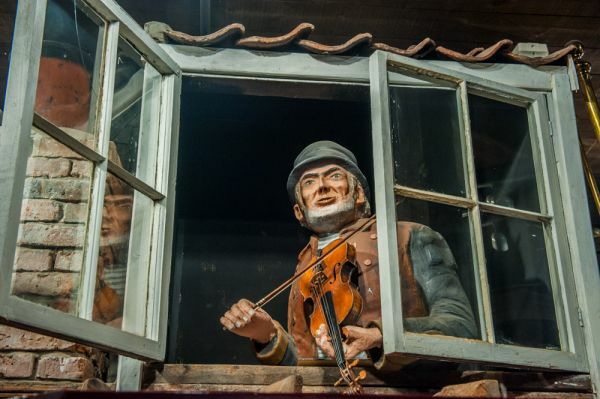 Until the 18th-century soldiers were usually billeted in houses or taverns, which did nothing to help discipline. 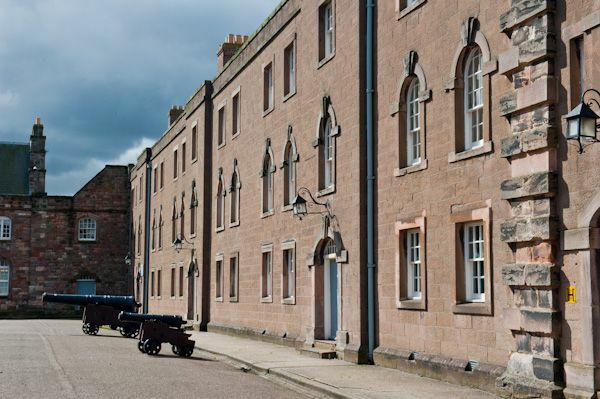 The innovative solution was a dedicated barracks where troops could live and maintain the sort of military readiness needed to protect against a Jacobite attack. 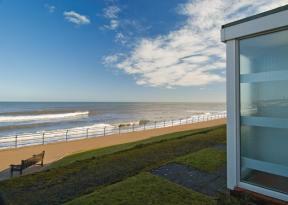 A site for the Barracks was found within Berwick's Elizabethan defences. 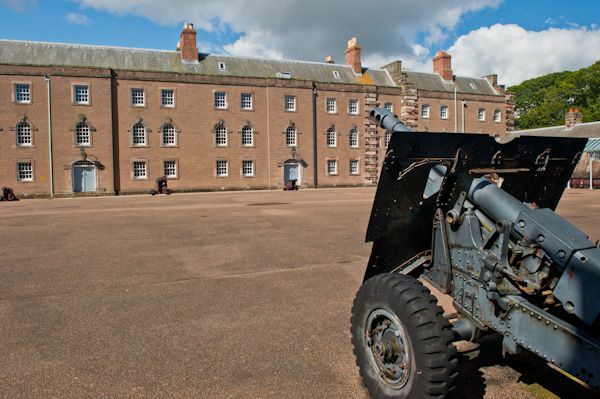 The barracks were completed by 1721 and composed of 2 accommodation blocks. Officers had one or two rooms each, depending on rank, but 8 enlisted men were crowded into a single room and had to share large beds. There was no sanitation and no running water. Clearly, the barracks were not designed for comfort, and budget constraints meant the buildings were shorn of all but absolutely necessary embellishments. In 1739 the Clock Block was added. It initially served as a storage space and later became the Regimental Institute. 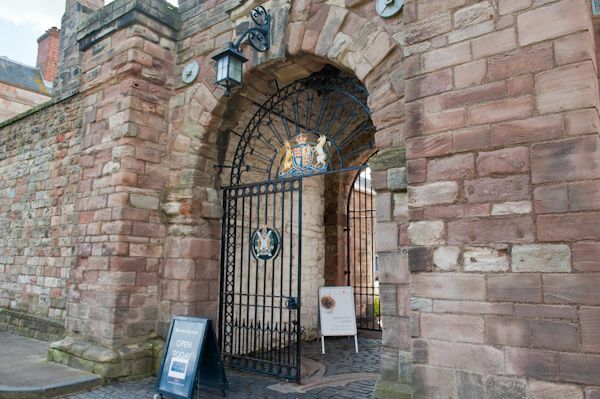 A hospital was built in 1741, and an officers mess built onto the inner face of the main gate. After Bonnie Prince Charlie's failed 1745 Jacobite Rising the Barracks became less important. It was often garrisoned by troops considered unfit for combat. 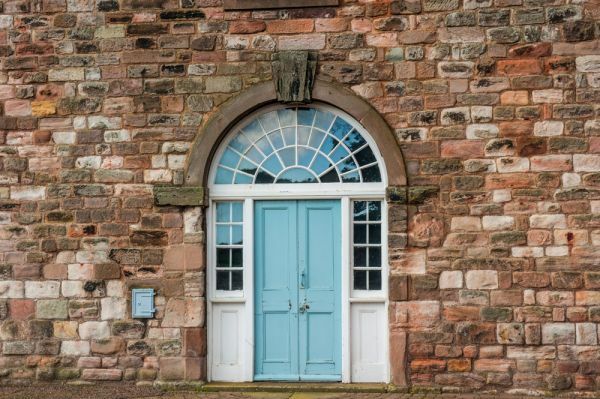 It was completely abandoned after the Napoleonic Wars until a small garrison took up residence in the 1850s. Then in 1881, the King's Own Borderers (later the King's Own Scottish Borderers) made Berwick their headquarters, though no regular troops remain in residence today. Our family really enjoyed visiting the Barracks, particularly the museum settings which showed how ordinary soldiers lived and worked here. Do take time to visit the 17th-century church of Holy Trinity, just opposite the Barracks entrance. Location: Just off Church Street. Seasonal opening only. Sitting room with electric fire and dining area. Well equipped kitchen. Double bedroom. Twin bedded room. Bathroom/WC (shower over bath).